It's time for another review! This time we have some wonderful ice cream received from Roxana at Roxana's Home Baking, courtesy of Häagen-Dazs. With five different flavors to try, we had quite a bit of fun with this review. It might be time for some exercise now though! This was my personal favorite. 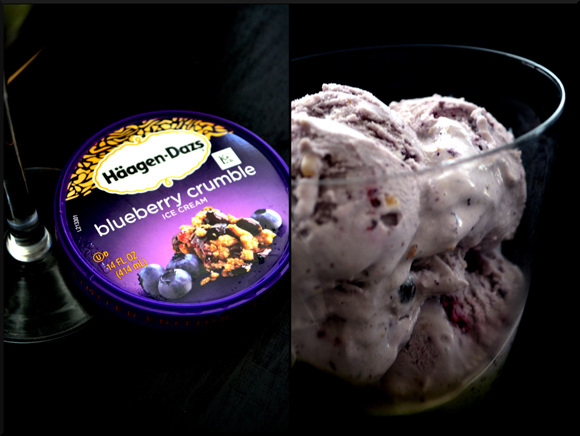 It has a nice, sweet blueberry flavor, and delicious crunchy pieces reminiscent of pie crust. This one is pretty much like mixing your ice cream with a blueberry pie. If you love blueberries, you absolutely cannot go wrong here. Delicious! Another great one. This one is swirled with delicious coffee ice cream, and has a fairly strong coffee flavor that you may not find in a lot of lower-quality coffee ice creams. 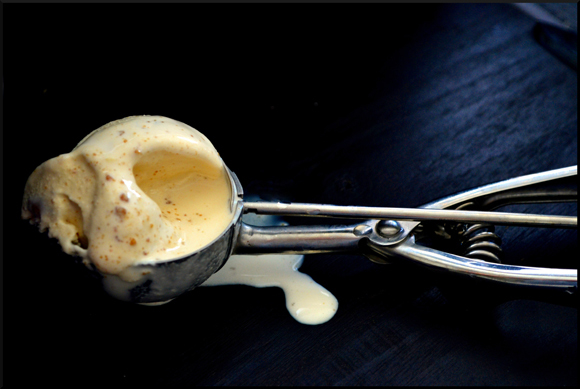 With decadent vanilla bean flavor and rich espresso, this is a coffee lover's ice ream! This was a favorite in the house. It has salted caramel mixed in, and small chocolate truffle pieces. For me personally, this was not a favorite, and I found the salty flavor to be a bit much. But the other members of the household loved this one. I am not a huge fan of coconut in general, but I really liked this one. It had a sweet but not overpowering coconut flavor that mixed wonderfully with the ice cream, as well as pieces of tasty macaroon pieces. If you like coconut, this is a great choice. This was my least favorite personally. I found it to be a bit on the bland side. That being said, the other people in the household also really enjoyed this one, so I suppose it comes down to personal taste. 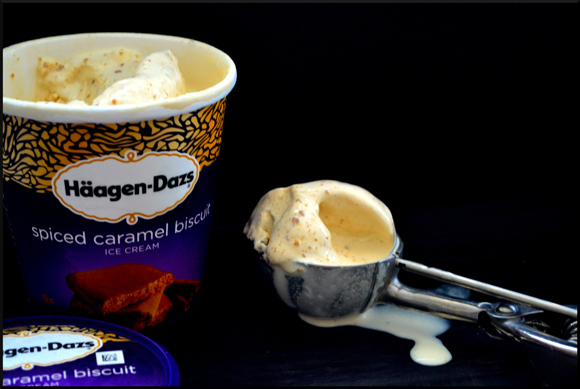 This one has a caramel ice cream, with little pieces of cinnamon biscuits throughout. I have always known Häagen-Dazs as a company that makes great, high-quality ice cream, and these flavors are no exception. 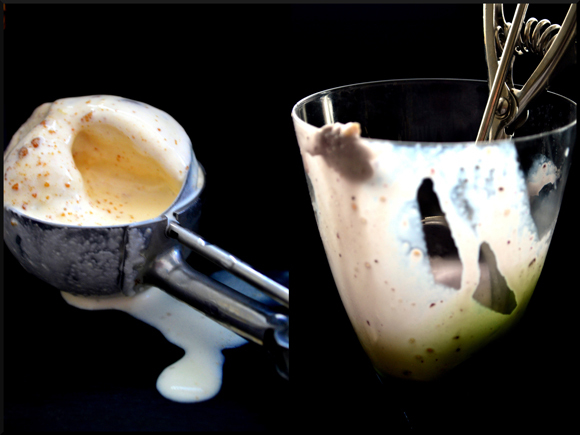 If you are looking for a rich, decadent treat (especially on one of these oh-so-hot nights! ), you would do well picking any of these. But my personal favorites are the blueberry and espresso. Yum!